Our tent in the Algerian desert. 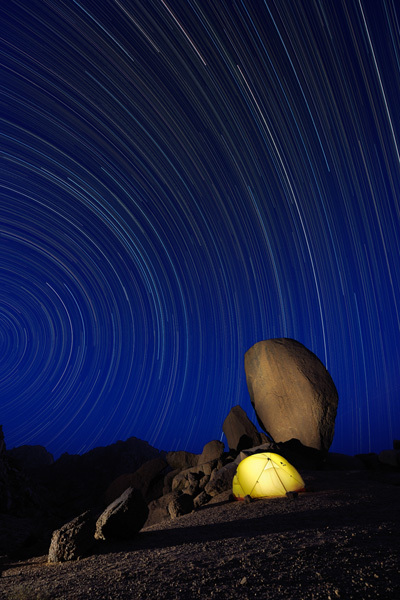 We light painted the rocks and put a small headlight in the tent during the first exposure. This place was far away from civilization and in an area that is infamous for terrorist activity and kidnappings - needless to say we were the only tourists around.